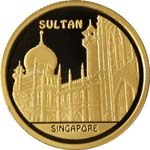 Date of issue: July 20, 2004. 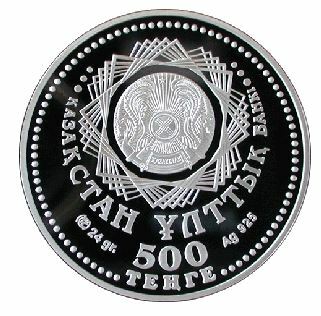 Averse: State Emblem of the Republic of Kazakhstan framed by quintuple turning ornamental eight-point rosette; the legend in Kazakh “NATIONAL BANK OF KAZAKHSTAN”; face value of the coin “500 TENGE”; trade mark of Kazakhstan Mint; “24 gr.” means the coin weight; “Ag 925” means metal and standard of coinage. 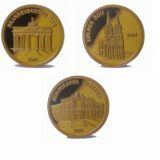 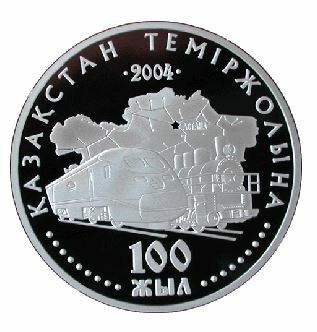 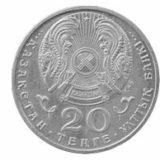 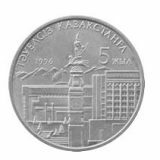 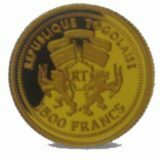 Reverse: image of Kazakhstan map with network of railway lines there is a picture of modern electric locomotive and steam locomotive; name of the coin in Kazakh “100 YEARS” and “KAZAKHSTAN RAILROAD”; “2004” means the year of coinage.